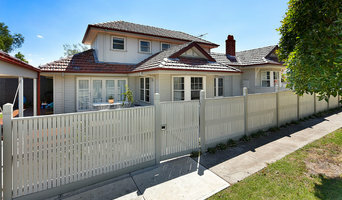 Fourth generation builders located in the eastern suburbs of Melbourne. 30 years combined experience between Michael and Timothy Dowdle. 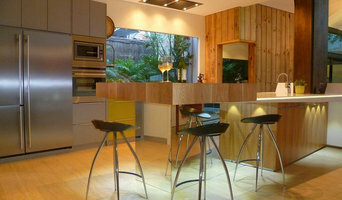 Proficient in all aspects of building but specialising in extension/renovation work. Escea is a classic New Zealand success story. Beginning in Dunedin in 2002, Escea's founders, Nigel Bamford, Alan McGregor and Garth Milmine, started with a single idea: that the home fireplace should not only be efficient and easy to use, but should also be a thing of remarkable beauty. 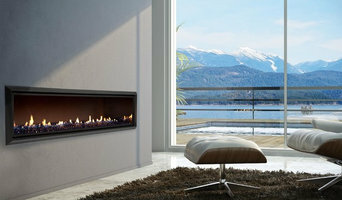 Since then, Escea has become a well-established industry leader in the design, manufacture and export of leading edge gas fireplaces and outdoor wood burners. Our fireplaces are renowned for their modern, minimalist styling, heating efficiency and ease of use. In recent years, business growth has been dramatic, and we currently export our award winning designs to countries such as Australia, the United Kingdom and the United States. Gas Cooktops for replacement, Made in Australia, 25 years experience in Gas Cooktops, spacious and hassle free cooking, a range of design and safety features. 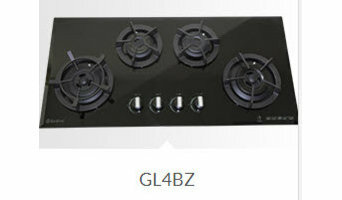 Goldline cooktops are designed for space and hassle free cooking. 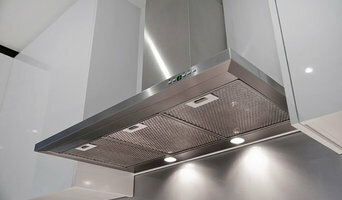 Available in glass or stainless steel, they boast a range of design and safety features. Goldline is proudly Australian owned and operated. We are pleased to showcase our wide range of cooktops to suit the many different kitchen layouts and cooking styles. For more than 100 years, V-ZUG has been the Swiss inventor and developer of premium, innovative household appliances. V-ZUG makes housekeeping easier with simple and individual solutions that inspire and enthuse. Sole distributors of Lacanche French Range Cookers. Made by hand in the heart of Burgundy, France Lacanche is the cooker of gourmets. ASKO is an international brand with a full line of high-performance washers, dryers and dishwashers. ASKO Appliances still do a great job of cleaning with a fraction of the water, electricity and detergent of many other machines. Every component is constructed of steel rather than plastic wherever possible. And every ASKO product is still built with Scandinavian quality and environmental sensitivity. MIELE: THE GLOBAL BRAND There are very few brands in the world that have sustained their vision, traditions and quality for 118 years. Fewer still can claim consistent family ownership and international brand name integrity, and only one is recognised for creating the world’s most innovative appliances. Miele Australia Established in 1980, Miele Australia was Miele’s first subsidiary outside Europe. Today, with offices in capital cities around the country, Miele is regarded as the leading premium appliance brand on the Australian market. Discover Miele's complete product range with the help of expert advice in a luxurious setting at a Miele Experience Centre across Australia and New Zealand. Our Complimentary Introduction Product Demonstrations and Complimentary Owner Product Demonstrations ensure you recieve all you need to know about our appliances, and how they can empower your lifestyle. Visit www.mieleexperience.com.au to book your free class. Transport & logistics company that provides Freight Forwarding, Third Party Logistics (3PL), Customs Brokerage, Value Added Services, Inland Transport, First Time Customer Care and DDU & DDP Door to Door Services. All freight can be readily tracked online at our website. Benefit from our experience. Find out how we can assist you and your business. Call us now on 613 9533 8886. Etruria Antiques are expert in English pottery and soft paste porcelains, with a particular emphasis on Wedgwood. We also carry a small range of furniture and the occasional picture. We were formally known as Lee Bradshaw - Antique Wedgwood. Since our inception in 1981, Electron Vacuum Systems Pty. Ltd. is an Australian owned and operated company specialising in engineering, designing, manufacturing and installing ducted vacuum systems in Melbourne and surrounding suburbs. Being a highly-reputable company we also specialise in ducted vacuum repairs and ducted vacuum service. We only use the high-quality materials and strictly monitor the production over the entire stages of manufacturing. We have an established network of independent agents and distributors that operate nationwide providing comprehensive sales and installation of the central vacuum system. They also offer central vacuum service and central vacuum repair Australia wide. We pride ourselves on having the largest range of home central vacuum accessories. Quality products for the ducted vacuum systems are sourced worldwide from the reputed industry partners. Our Products: •Power units •Hose wand tool sets •Cleaning accessories •Installation parts - central vacuum parts, ducted vacuum parts •Hose management - ducted vacuum hose, central vacuum hose •Vacuum valves •Spare parts Why Choose Us? •Australia made products •Quality products at a great price •More than 37 years of experience •Quality Certification Standard ISO 9001:2000 To further inquire about products or services, feel free to get in touch with our expert team at our registered number. Looking to buy a high-performance, reliable central vacuum system for your home? Ellem’s Centravac can help you find the right ducted vacuum cleaner for you. We have been the national distributor of Volta Centravac vacuum systems since 1992 and ensure that every home is clean, hygienic and safe to live in. From onsite consultation to product sales, installation, service and repair, we do it all for you. We can also get you the best price quote. We provide 5 years warranty on our Volta Centravac power unit and ensure exceptional quality and reliability in keeping your home absolutely dirt and allergy free. Contact us today on 03-9555-9411. Invented for life - Nowhere do you feel more at home than in your kitchen. It’s where food and family come together in a place protected from the outside world. At Bosch Home Appliances, we know how important it is to find these moments of peace in your daily routine. That’s why we design kitchen appliances that are beautifully uncomplicated. They’re so intuitive to use, they make every day easier. So you can just relax, and see how nice it is when life goes according to plan. Innovative Technology - There’s no need to choose between simple and sophisticated. Our kitchen appliances are both. Whether it’s the precision of our induction cooktops or the convenience of our built-in steam ovens, you’ll have the latest technology at your fingertips. Built to last - Bosch Home Appliances are engineered for real life. So no matter how busy your breakfast or demanding your dinner party, they’re always reliable. Murdock Metal Spinning is a leading pizza pan manufacturer as well as supplier in Australia. Being the renowned team of metal spinners for more than 20 years, we have in-depth knowledge and expertise to manufacture various types of trays and pans, especially for the hospitality industry. We first understand the requirements of our clients and further manufacture the trays and pans according to their needs. Our products come with ensured quality with optimum thickness and depth for availing consistent baking results and shapes. Our oriented and ergonomic designs help even the novice baker to handle the pans and trays easily. Our Products Our team manufactures a diverse range of products including: •Pizza Trays •Frying Pans and Paella Pans •Baking Trays •Pizza Slicer •Caramel and Dariole Moulds Why Choose Us? •Enriched experience •Premium quality •Unparalleled service •Collaborative Approach •Personalised Options Know more about our products and further order process by contacting us directly. Our team will be there to provide you with a quick response.